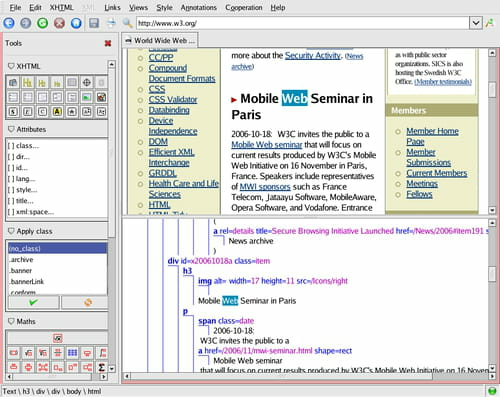 Amaya is a web editor wich has been developed by W3C and INRIA. This is an easy to use tool made to allow everyone create web pages as well as edit them. Editing: The program allows to modify web pages of different formats like HTML and XHTML. The process is simple for it supports the drag and drop function. It is also possible to edit the CSS codes to customize the sites' appearance. Browsing: Amaya has a function which allows the user to browse the internet. It also has all the functions proposed by a standalone browser. This utilitarian uses a display system tab as well. Publishing: Once the editing process is done, it also possible to post the edited page directly from Amaya. The program uses the HTTP/PUT for that. This action requires the user to have access rights on the server where the site is hosted. 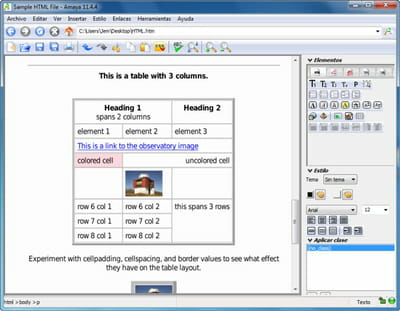 Amaya is an open source software which is downloadable for free. The user is also allowed to create hypertext links with one single click. Latest update on June 29, 2015 at 04:48 AM.